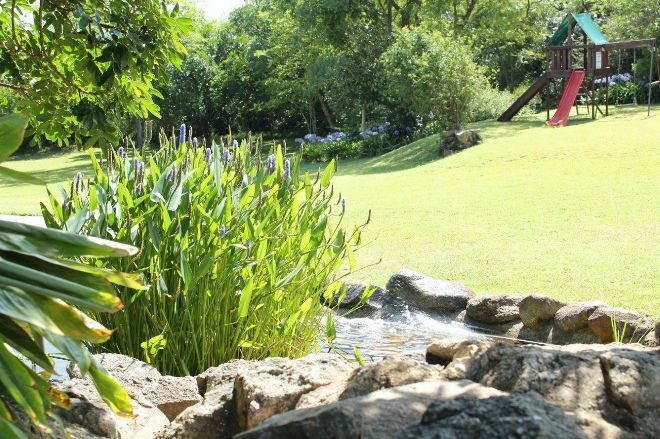 Mataffin Hill Lodge is situated within the boundaries of the beautiful HL Hall & Sons Estate, just 5 km outside of Nelspruit. 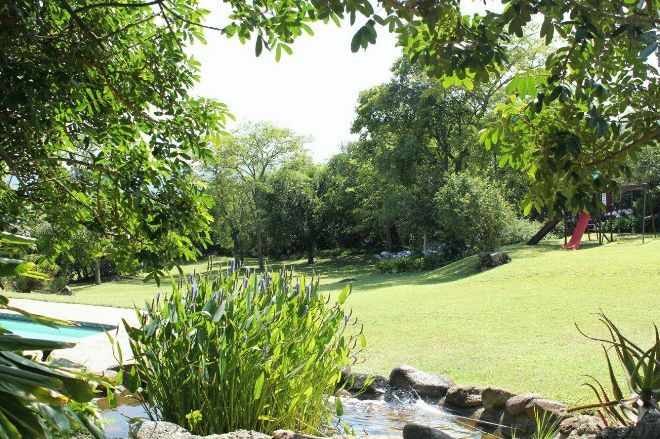 A short drive off the N4 Highway takes you through the lovely macadamia nut and litchi orchards, and up to the guest house which is surrounded by an abundance of flowers, trees and bougainvillea. It borders a small nature conservancy and heritage site. 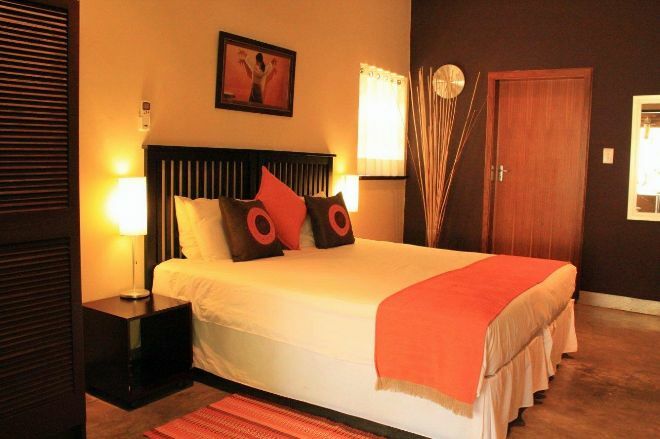 Mataffin Hill Lodge consists of three en-suite Family Rooms and two en-suite Double Rooms, all with their own private entrances opening up onto the patio overlooking the lovely garden. 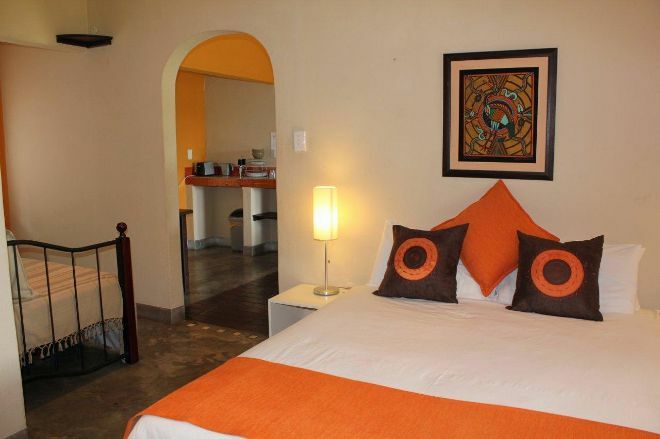 Family Rooms consist of a bedroom, bathroom, open-plan kitchenette and lounge area with a daybed for the kids. They are suitable for two adults and two children under the age of 13 years, or even three adults sharing. 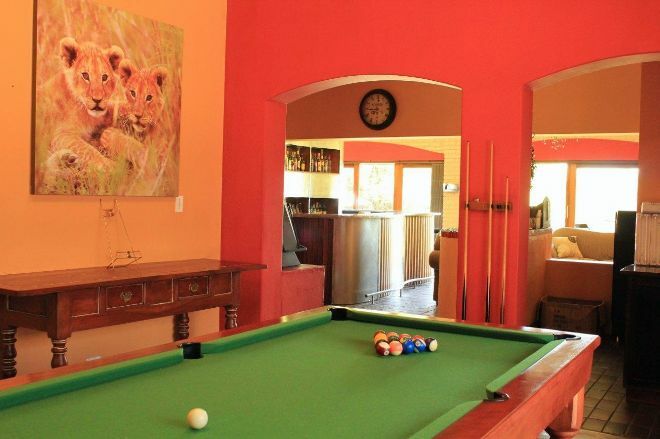 The guest houses bar, pool room, lounge and dining room are tastefully decorated, overlooking the wide expanse of lawn with a swimming pool. It is the ideal place to sit with a glass of wine and enjoy the fantastic variety of bird life and small animals in this area. 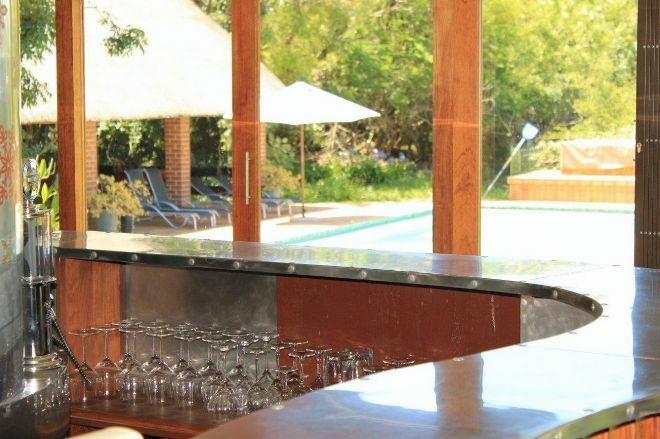 Although there is a lapa and braai area, the mouth-watering menus are of a very high standard. 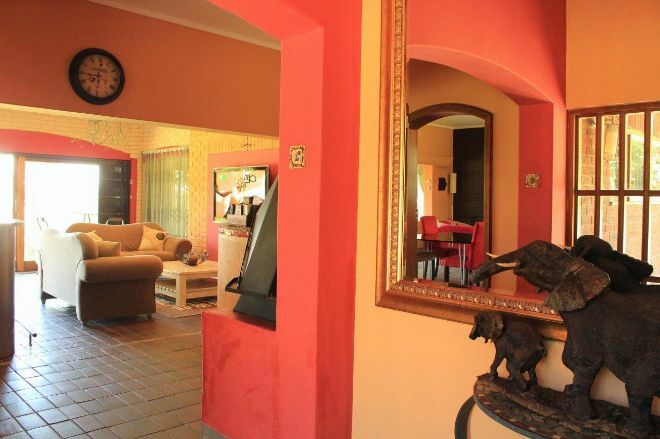 Being very close to Nelspruit, but also very central to all the tourist attractions in the area such as the Kruger National Park, you will understand why families and business people alike cannot wait to come and visit again. "Very nice! 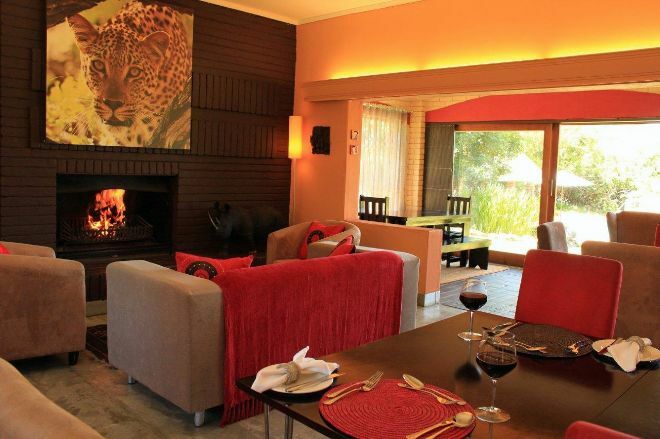 Will definitely recommend anyone to stay at Mataffin Hill Lodge.Neat, nice view and compliments to the chef!" "Billy was great and even more great with the kids. He even went out of his way to get them their favorite channel. He was friendly and easy - going. The place is peaceful and a real holiday home. The owners are down to earth people. We loved it!" "Kersten was very friendly and helpful. My colleague was feeling sick, so they even brought our lovely dinner to our room! William made an amazing breakfast! I will definitely go back."